Data security has been one of the hottest topics lately, and websites and companies in every industry are trying to do their best or at least appear to be doing their best, in order to protect their users/customers' data. With the ever-increasing loopholes through which many malicious actors on the internet attempt to steal data and disrupt systems, you need to make sure that your website will always be a safe space for your users. Not only will it establish trust between you and the users, but it can even make or break your website. It's not even a tough job to take care of on the scale of relatively-small websites anymore. Perhaps Facebook can be in trouble, but your WordPress website can be easily protected. All you need to do is find the right tools, and two-factor authentication plugins are more than enough for that task. Two-factor authentication is currently being used by some of the largest online platforms, most prominent of which is Google. You can install a similar system to your website, by which you can provide your users' accounts with extra layers of protection. All you need to do is install one of these plugins, set it up, and it will take care of the rest. This article will cover 7 of the most powerful two-factor authentication plugins. This plugin can add Google Authenticator's robust protection system to your website's login process. 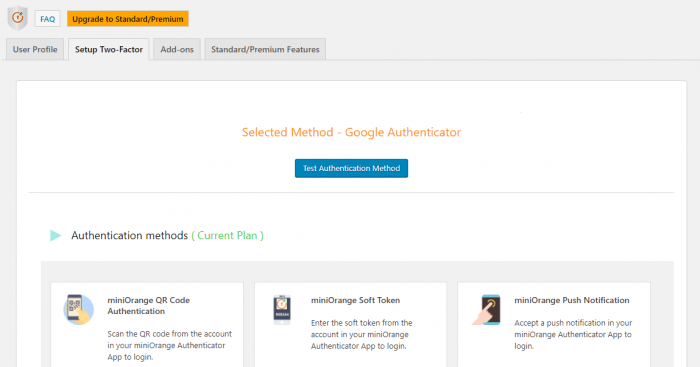 MiniOrange has developed several login authentication tools that work with various frameworks. This one is particularly based on the two-factor authentication method that is used by Google Authenticator. That is the method by which, for example, the password is entered and then the user receives a message or a call with a verification code that they have to enter correctly before they are allowed to proceed. The authentication methods can differ, though, and this plugin provides several methods other than the authentication code. Among these methods are QR codes, push notification, security questions, and soft token. That's for the free version of the plugin. The standard version adds to these the Authy authenticator, OTP over email or over SMS or both, and email verification. Over and above that, the premium version of the plugin includes hardware token as an authentication method. If you're using the free or standard version, you can buy an add-on to activate a specific one of the methods that aren't included in your package. There are backup methods that will enable your website's users to revive their reset their authentication process in case something went wrong. If you have the standard plugin, you can allow them to do so using security questions, and if you have the premium plugin, you can use this as well as backup codes and OTP over email. The premium plugin enables you to send out email notifications to your users in order to remind them to set up their two-factor authentication. Given the various potential threats, this would grant your website a certain degree of security and reliability. With this version of the plugin, you can also determine a specific authentication method to be applied to your users. 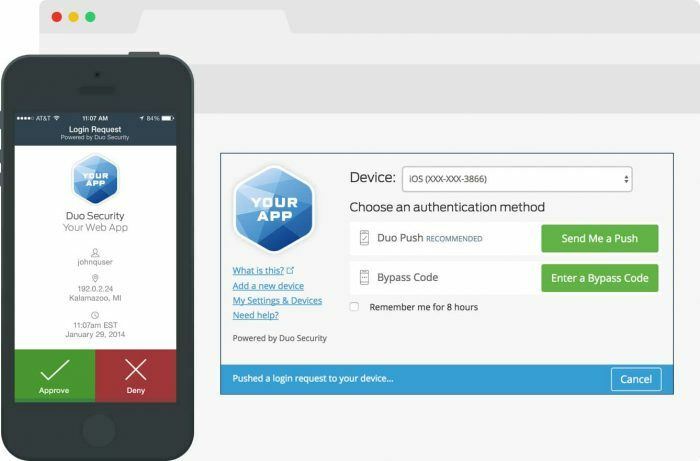 The Duo Security plugin ensures that the authentication steps in your website's login process are simple as they are safe. The good thing about the Duo two-factor authentication plugin is that it eliminates a lot of the additional work that is usually associated with setting up a 2FA system for your website, like creating special accounts, synchronizing directories, or handling servers and extra hardware. Just by installing the plugin, you can move on to set the user roles, and decide who will be required to undergo the extra authentication steps. You can decide that it would apply only to users, subscribers, admins, contributors, authors, etc. Also, the plugin has its own mobile application that users will get to use in the verification process instead of having to purchase hardware tokens. There are multiple ways to use this app for authentication, including one-tap authentication and one-time passcodes. One-time passcodes can also be delivered via SMS even where there is no cell coverage. Another authentication method that the plugin allows is phone callback, and that works on both mobile phones and landlines. If a user still wants to use a good old hardware token, though, they still can do so. The token just has to be OATH-compliant and they will be good to go. For the sake of extra security, Duo doesn't only aim at verifying identities, but device trustworthiness. Devices that are running on out-of-date software, for example, can be more vulnerable to security threats, and not only that, they can also pose danger on other devices in their network. There is also software, like Oracle Java and Flash for instance, that have well-known vulnerabilities that can be just as risky. By scanning devices and software, Duo tries to maintain a network that is altogether secure. As the admin, you will be receiving detailed insights on the types of devices that are entering your network, and the plugin can flag the devices or users that can be posing a risk to your website so that you can take any necessary action. Rublon's security barrier is quite reliable and user-friendly. Rublon is concerned first and foremost by preventing the brute force attacks that are cast by botnets against thousands of WordPress websites on a daily basis. The malware that can be installed by such attacks is not only dangerous insofar as it causes defects in how your website operates, but can also cause the website to be delisted from search engines or blocked by the host provider altogether. Passwords are simply not reliable enough to stand in the face of such attacks. What Rublon does is add an extra step prior to the password entry in which you are sent a link via email that redirects you to the login page as a confirmation procedure. After this step is done and the login is successful, the user will only be asked to enter their WordPress password in later logins as long as they are logging in from the same device. 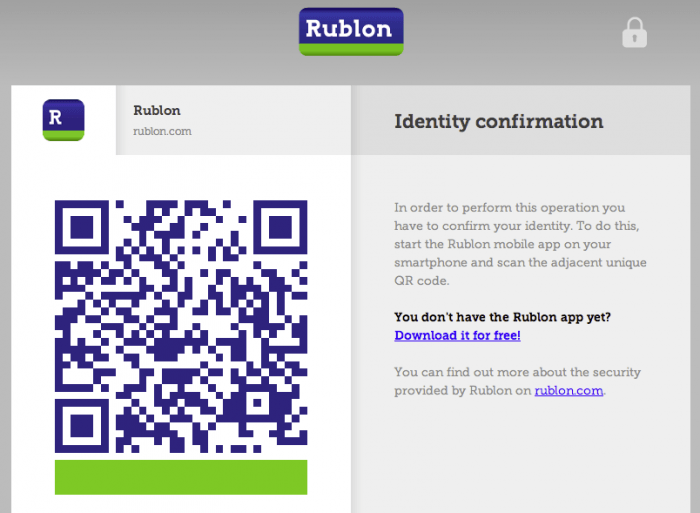 Users can play it even safer by downloading the Rublon app by which they can scan a Rublon Code in order to verify the identity of the user. What makes this a better alternative to most 2FA plugins is that it does not bother the user with one-time password messages or callback verification steps. A user can even log in using the Rublon Code alone by eliminating the password step. Rublon is also compatible with pretty much all of the major browsers and operating systems, something that is usually an obstacle when it comes to security applications/plugins seeing as how they tend to require certain protocols. P.S. Upon installation, Rublon by default protects one account free of charge. That would usually be your own admin account. The protection of any other account would cost $1 per month for each user. Unloq lets you manage your authentication process very easily from inside the WordPress dashboard. Unloq enables you to install an identity authentication system to your website that doesn't need passwords at all. The whole verification process can be handled in any of the three alternatives that the plugin facilitates. These are OoB through push notifications, TOTP, and email login. The push notifications option is the main method used by the plugin. It works through the plugin's mobile application, whereby users receive a message that they either approve or decline, thus verifying the will of the real user to log into the account. The other two options are complementary, and they were put there specifically for users who do not have an internet connection or are not near their phones during the login attempt. The logout can be done without any of these steps. The plugin also allows you to install firewalls using IP address and locations in order to keep certain suspicious users out of the website. The firewalls can block certain addresses altogether, or create a timer system in order to minimize the risk. Unloq even helps you determine who exactly should be put behind these firewalls with its robust analytics. The plugin's insights will let you know everything about the verification methods that are preferred by your users and the devices they are logging in from. The insights will also help you highlight any suspicious activities. 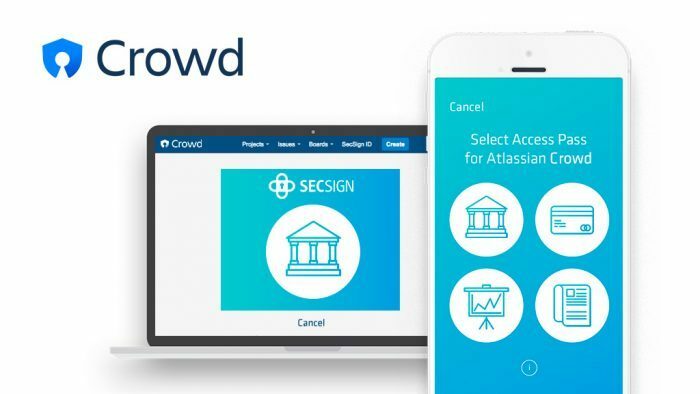 Besides its powerful security barrier, SecSign's interface is both professional and quite neat. SecSign is one of the most WordPress-friendly plugins in this category. That is one of its main integrations, and it can be done within one minute. It enables authentication via smartphones and Apple Watches, and the good thing is, the login process can be minimized to a single fingerprint without the need for passwords, verification codes, or any hectic registration steps. The plugin operates on a single sign-on 2048-bit high-security framework. It also supports the SafeKey mechanism as a form of protection against brute force attacks. The private keys that are used in this process are not transmitted to the authentication server for the users' own protection. The plugin already operates through the SecSign cloud server, but you can transfer the operations to your own 2FA server. All of these features come completely free of charge, no matter how many users or user roles that you are willing to include in the 2FA system. 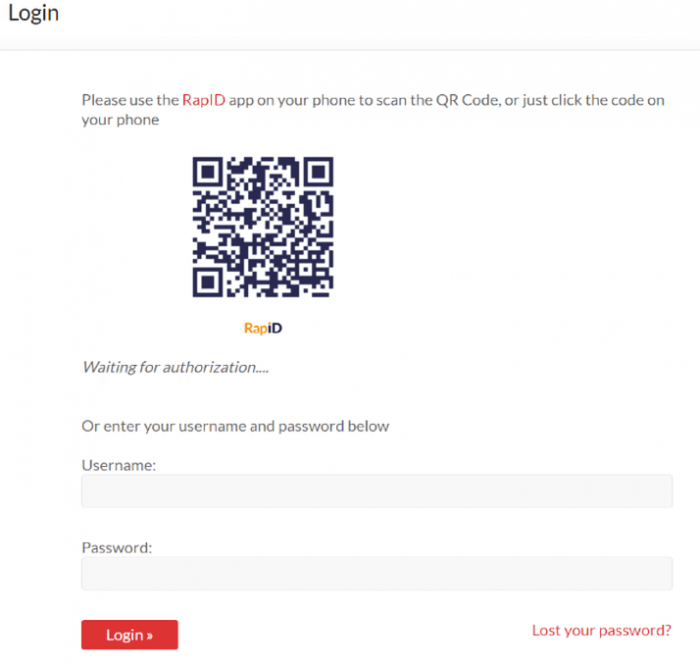 RapID is a very practical authentication solution, providing users with multiple ways to secure their accounts. RapID won't take you long at all to install on your website. It only takes perhaps a couple of minutes. This one, too, works through scanning and fingerprints, without any passwords or any of the other more traditional verification methods. Fortunately, since many people might face a hassle to restore their accounts if they lost their phone or whatever hardware token they are using, this plugin will enable your website's users to identify another phone as their backup for such cases. The whole process takes a couple of steps; the first is scanning a QR code, and the second is giving the fingerprint or a PIN. RapID also operates on a 2048-bit cryptography system. Moreover, you can customize the login screens in order to give them your WordPress theme. And just like RapID can work through multiple devices, you can also install the plugin to multiple websites just as easily. The first 1000 users are free of charge anyhow, and after that, you get charged $50 for every 5000 users. 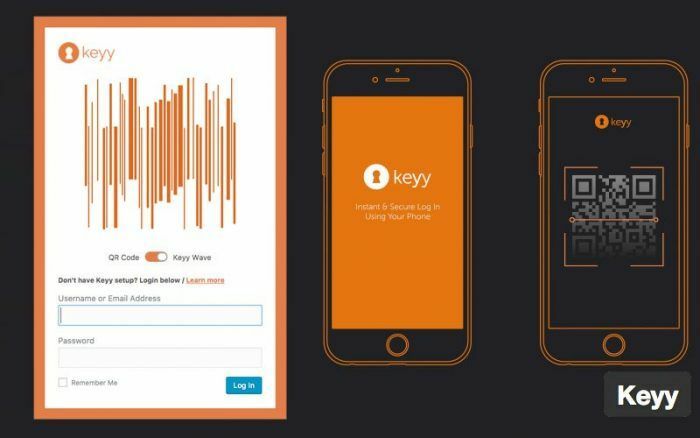 Keyy is one of the most mobile-friendly identity authentication tools that will allow your users to store their security data on their own devices. One important thing about Keyy is that apparently there is quite an active team working to keep it constantly up-to-date. This alone is of crucial importance when we're talking about a security-related plugin. Keyy works through RSA public-key cryptography, which can add a robust, reliable layer of security to your website's login process. It is the same technology that is used in SSL-secured websites. By downloading the Keyy mobile application, the user's key is stored on the phone, either in the Apple Keychain or the Android Keystore depending on their phone's operating system. Whenever they try to log into their account, they are asked for either a fingerprint scan or a 6-digit PIN. If you use the premium plugin, you can ask your users to enter their passwords in addition to whichever authentication step they choose. You can generally impose whatever policies you want in this regard as the website's administrator. That version of the plugin will also enable you to access certain settings for individual users which, if used fairly and in moderation, can be somewhat useful in many situations. Finally, you can customize or brand the authentication pages to fit your website's overall theme.